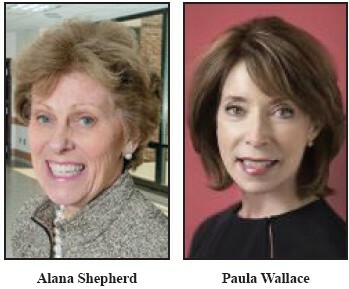 Recently, the Georgia Historical Society held a press conference in Savannah’s Chippewa Square to announce that Alana Smith Shepherd and Paula S. Wallace will be the latest inductees to the Georgia Trustees at the annual Trustees Gala in February 2015. Alana Shepherd is co-founder of Shepherd Center, a world-renowned rehabilitation hospital in Atlanta, specializing in medical treatment, research and rehabilitation for people with spinal cord injury, brain injury and other neurological conditions. Paula Wallace is the president and co-founder of the Savannah College of Art and Design (SCAD), an accredited, nonprofit, degree-granting university established in 1978. Today SCAD awards undergraduate and graduate degrees in more than 40 areas of study at its locations in Savannah, Atlanta, Hong Kong, and Lacoste, France.